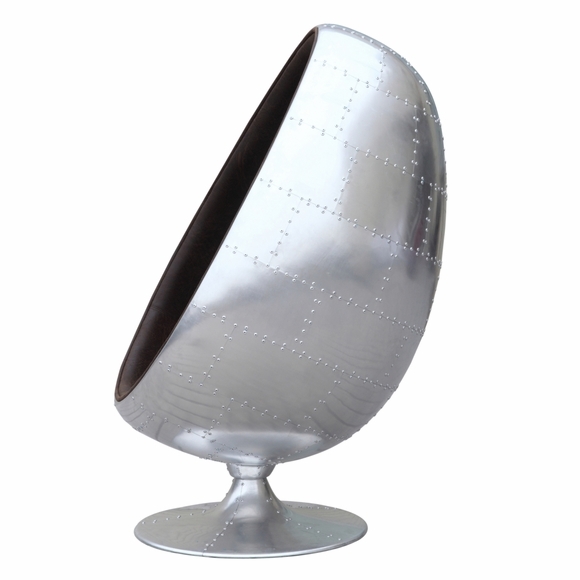 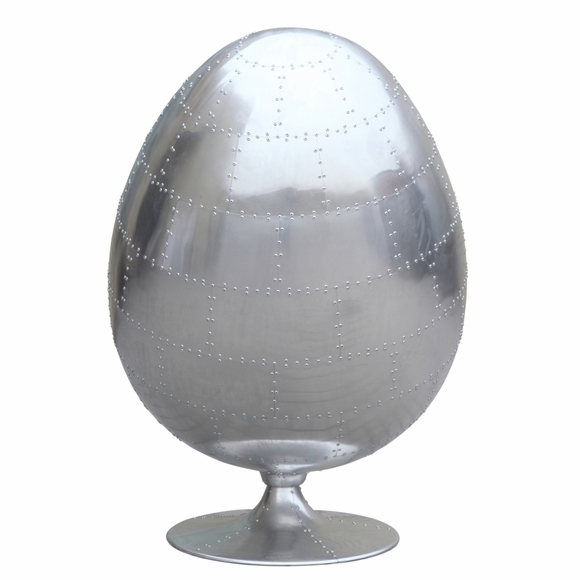 Imagine the classic Oval Ball chair merging with a mid-century aluminum aviator style. 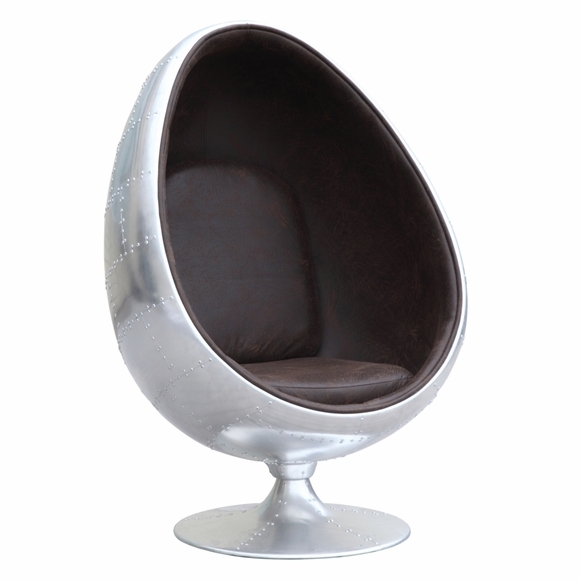 That's our Restro Chair, it just doesn't get any better than this. 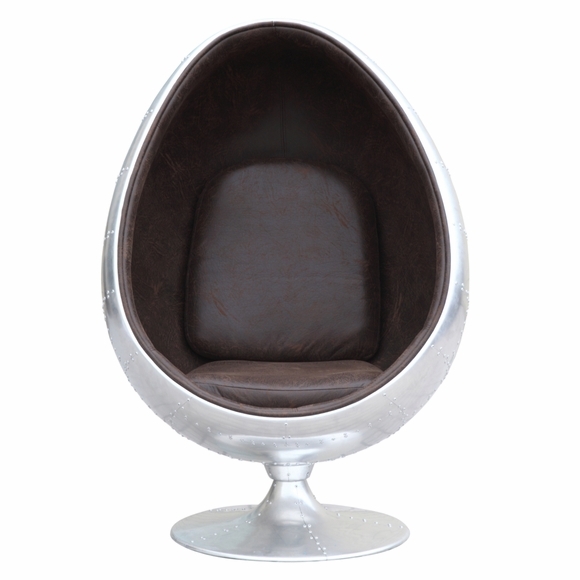 The chair interior is fully padded and then covered in a rich genuine leather with extra back and seat cushions. 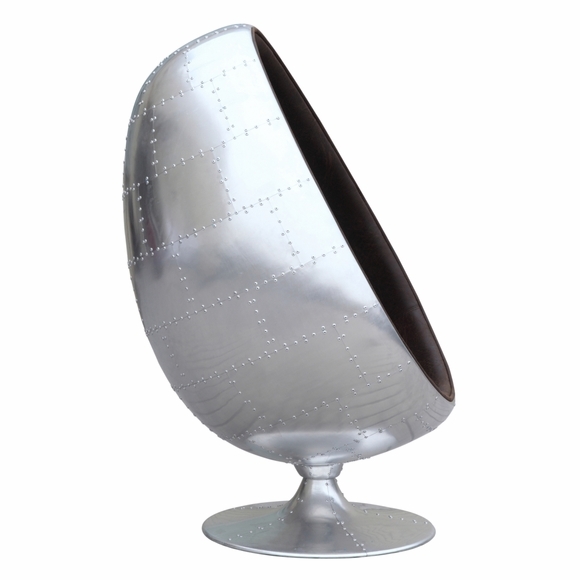 The frame is molded fiberglass covered with riveted aluminum sitting on a sturdy polished stainless steel base. 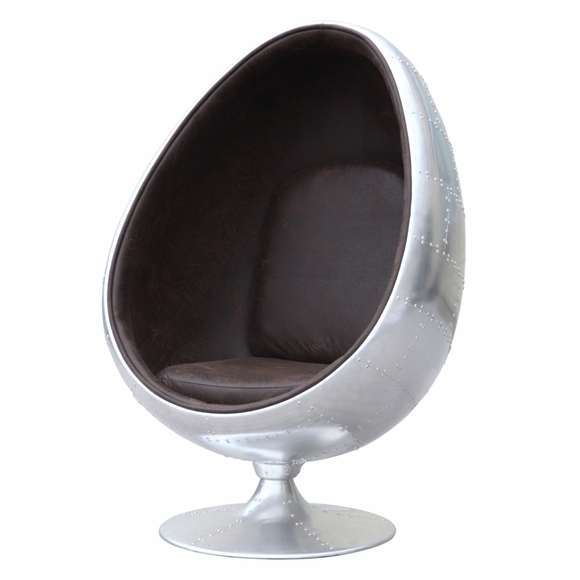 Climb in, curl up and get cozy.